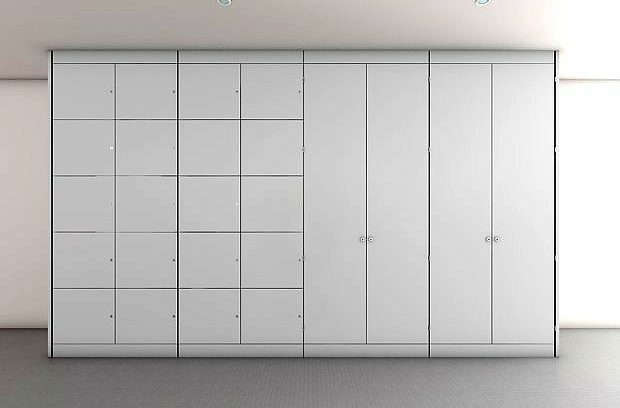 Fitted storage is the solution to the modern office where filing and additional storage is at a premium. 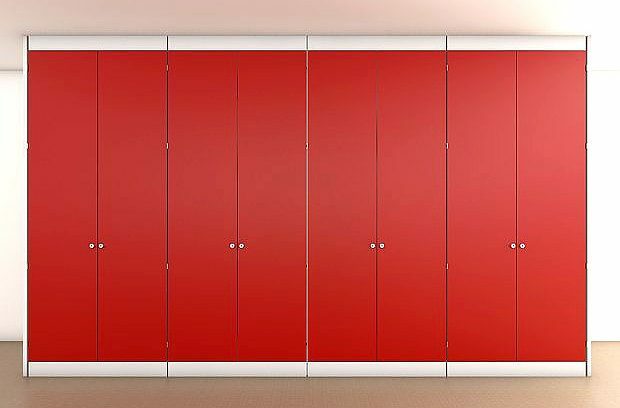 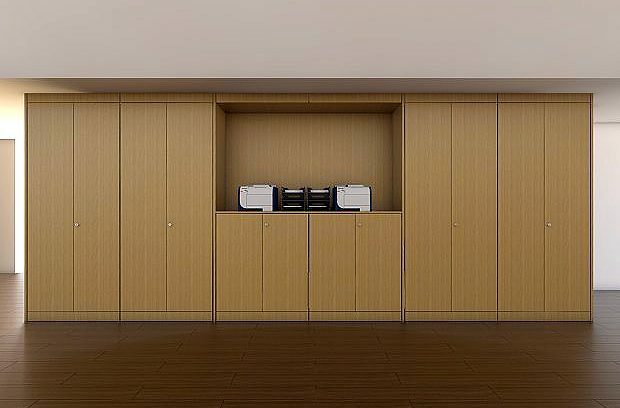 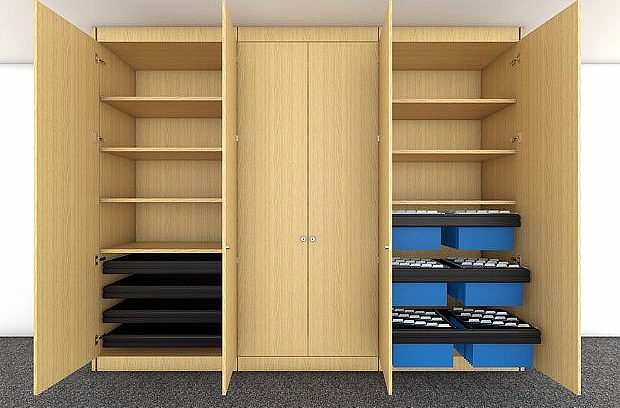 Available in a range of colours to contrast or harmonise with desking and free-standing storage units, a variety of additional embellishments can be added; doorways, display cabinets, coat rails, etc. 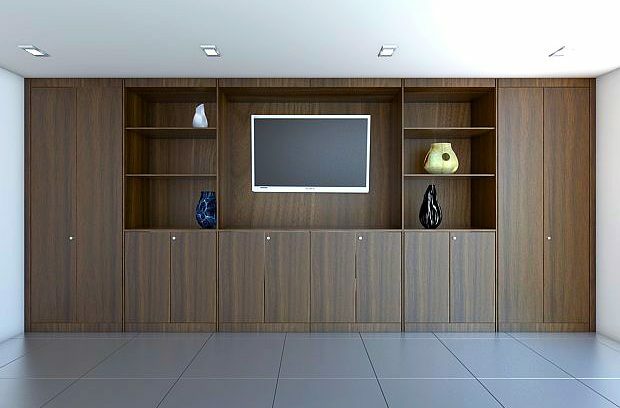 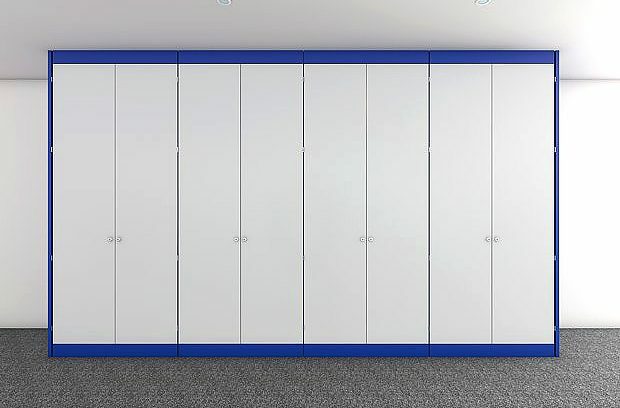 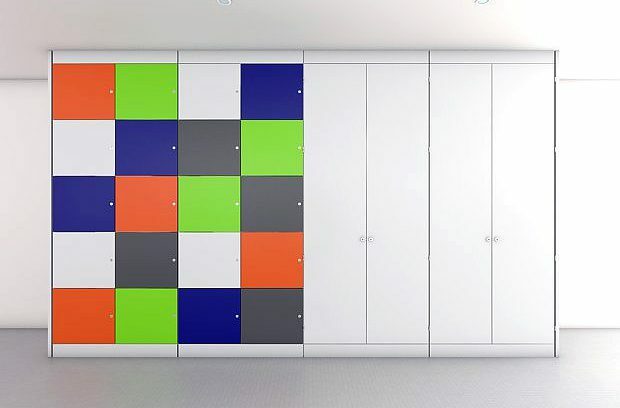 Floor to ceiling fitted storage is also a cost effective way of dividing large open office areas creating walkways, meeting rooms and offices without the additional expense of stud walling. 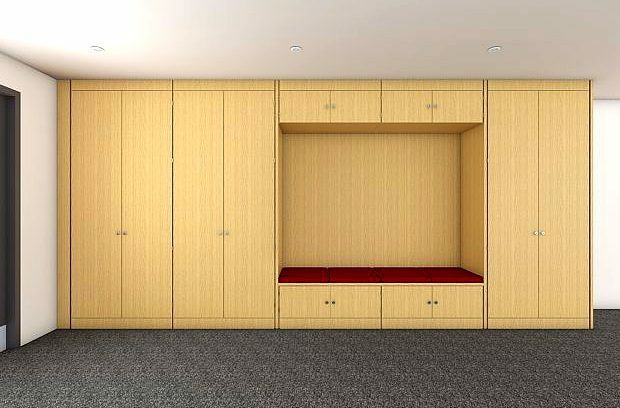 A full compliment of internal fittings are available. 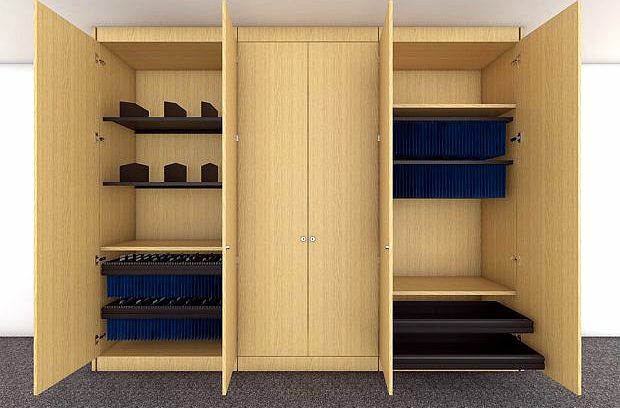 All products shown can be tailored to suit individual needs through our bespoke manufacturing department.